My kitchen’s cabinets aren’t anything too special, and they’ve even got a bit of wear and water damage, but they are wood – and that means I can strip them clean and paint or stain them however I like! Preparing kitchen cabinets for painting is a project in and of itself. 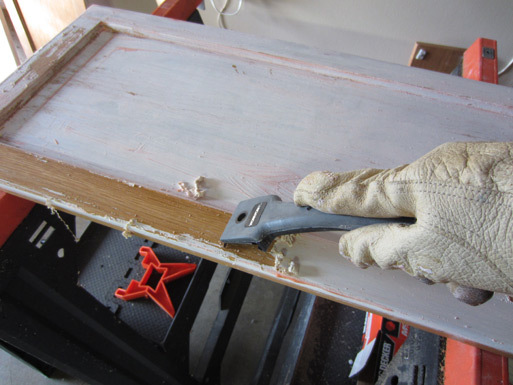 This step is about stripping the cabinets. I hauled each cabinet door into the garage, smeared them with Citristrip gel, and let ’em sit for a while. 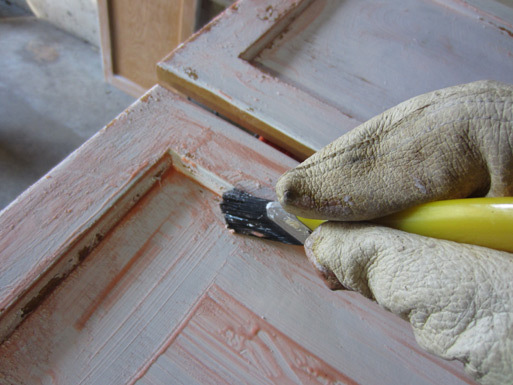 Below are two cabinet doors coated with paint stripper. Why are they already painted? Let’s just say that was a failed experiment at putting latex paint directly onto the cabinets. 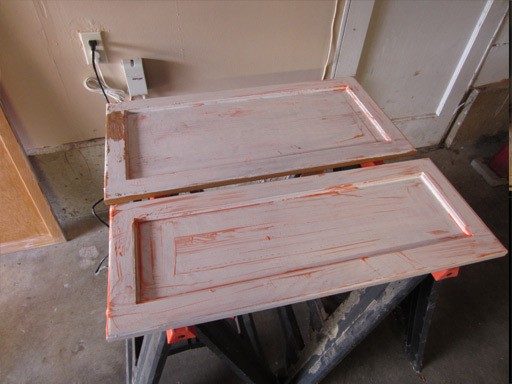 Do not put latex paint directly onto the cabinets, it will not stick – it will flake off and look crazy ugly. I used a plastic paintbrush to get the stripping gel into every nook and cranny. 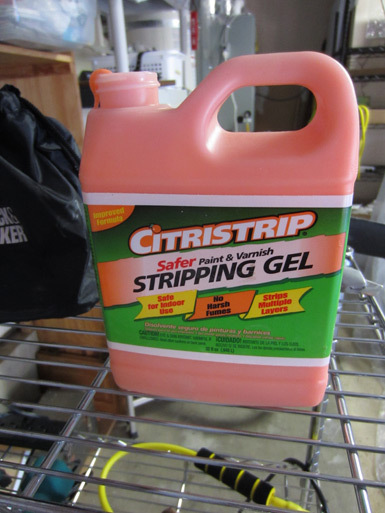 Citristrip works fast – after about 30 minutes I was able to start scraping. This was messy and tedious work. 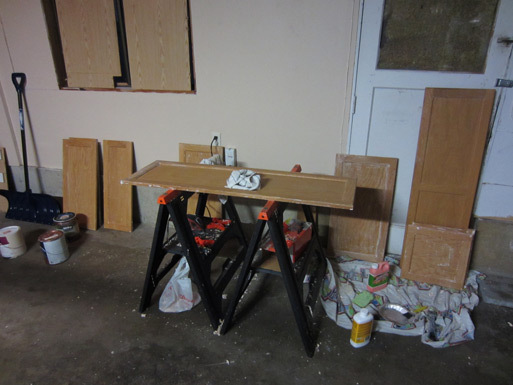 It took most of the afternoon to strip and scrape each of the cabinet doors, but they are now paint- and varnish-free. Next step: sanding the cabinet doors.